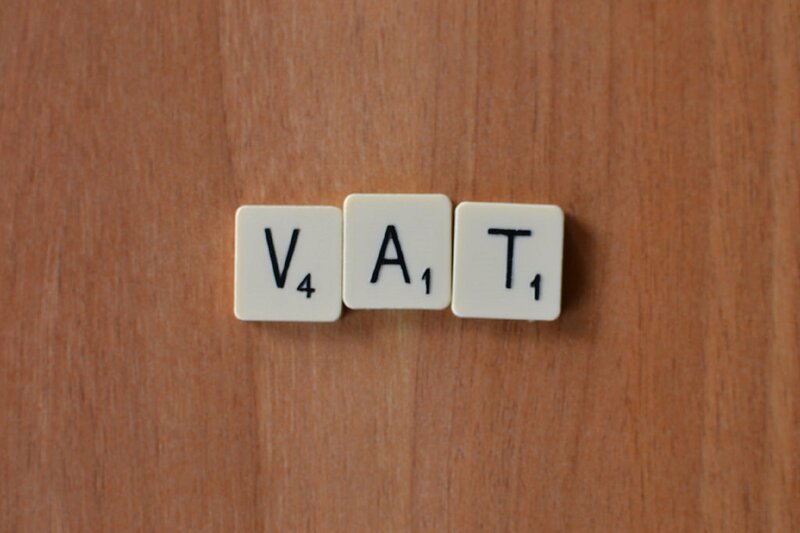 Home » Cottons Library » What is VAT? VAT registered businesses charge and collect VAT from consumers and clients. They are then responsible for handing this to HMRC and, as compensation for doing this, can reclaim most of the VAT they have paid out. VAT taken in via and paid out on costs by a business is recorded through bookkeeping in VAT periods, this is generally quarterly. Let’s look at how VAT works more closely. The following only applies to VAT registered businesses, if you are not VAT registered you will not charge VAT nor will you reclaim VAT that you will have paid on any purchases. A VAT registered business will collect their income plus VAT from a consumer. It is then responsible for handing the tax portion to HMRC. As an incentive for being a tax collection vehicle, HMRC allows VAT registered businesses to hand over the amount they have collected in VAT, less the amount they have paid out in VAT over the same period: commonly referred to as claiming back tax on purchases. If your business turned over £12,000 in a VAT period (£10,000 for you and £2,000 in VAT for HMRC) and in the same period also had costs of £1,200 and all costs included VAT, your business spent £200 from the total outgoing on VAT. VAT registered businesses may deduct £200 from the amount they have collected and keep it before handing the rest over to HMRC. Businesses with a turnover under £150,000, who don’t have a lot of VAT’able costs to claim back, may operate via the Flat Rate Scheme to ensure they still receive a small amount from the government for collecting their 20%. We’ve written a handy article to help you understand the differences between standard and flat rate VAT. Although VAT is charged to personal consumers on the purchase of goods and services, they are generally not made aware of the cost breakdown on standard receipt, only seeing total cost inc. VAT but trade consumers are different. Cost plus VAT is commonly broken down on an invoice (as above) for B2B transactions, this is because a VAT registered business can claim back the cost of VAT on their purchases, therefore, must understand cost of the item vs VAT paid. B2C trades e.g. retailers, must remember that although, if VAT registered, they can claim VAT back on items bought for sale, they will also have to charge VAT on items sold therefore the cost of items sold will increase by 20%, e.g. if you would like to be paid £100 for a product or service, you will charge the consumer £120. B2C trades have to factor this into their pricing and ensure they remain competitive at the same time. Businesses trading with other VAT registered business have to consider this less as the business client will be able to claim back the VAT they have been charged. Do all businesses need to be VAT registered? 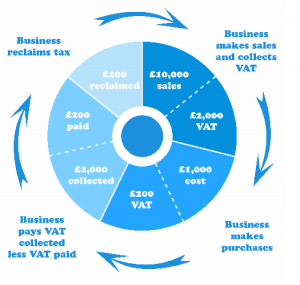 A business must be VAT registered if its turnover exceeds £85,000 unless your trade is VAT exempt (see VAT rates). If a company projects that it will soon turnover more than the government-sanctioned VAT threshold, registration would speed up providing documentation further down the line. Registered businesses are required to fill out a VAT return every three months. It’s essential that VAT-registered businesses keep records of all sales and purchases, and the relative VAT charged and paid to complete their VAT return accurately. Some businesses are exempt from VAT treatment, some items sold qualify for a reduced VAT rate, VAT on food can also be complicated and some businesses may like to VAT register before they reach the threshold. We have more information on VAT rates and the benefits of voluntary VAT registration in our tax advice library, however, if you would like to discuss the VAT for your business then contact us today. We have local offices in Rugby, Northampton, Daventry and in London too. Our accountants and specialist tax advisors are experienced and can assist you in ensuring your business is set up properly for VAT and operating in the most tax efficient manner.